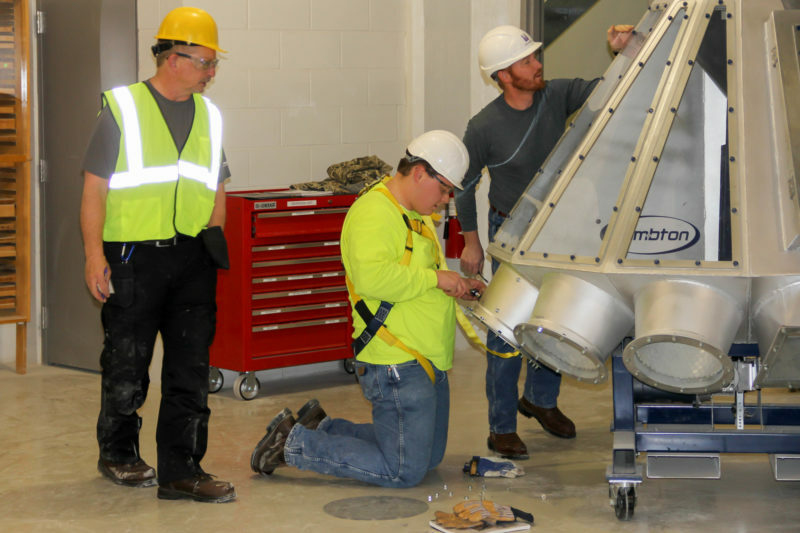 Manhattan, KS - Giving professionals who work in the grain industry hands-on experience maintaining, repairing and reassembling grain conveying equipment was the goal of the second annual GEAPS/K-State Hands-On Training (HOT) program held at the IGP Institute December 11-13, 2018. There were 30 participants who joined in the training. “The GEAPS Hands-On Training program focuses on giving participants a practical learning experience on maintenance and operations of grain handling equipment,” says Carlos Campabadal, IGP Institute outreach specialist for feed manufacturing and grain quality management. 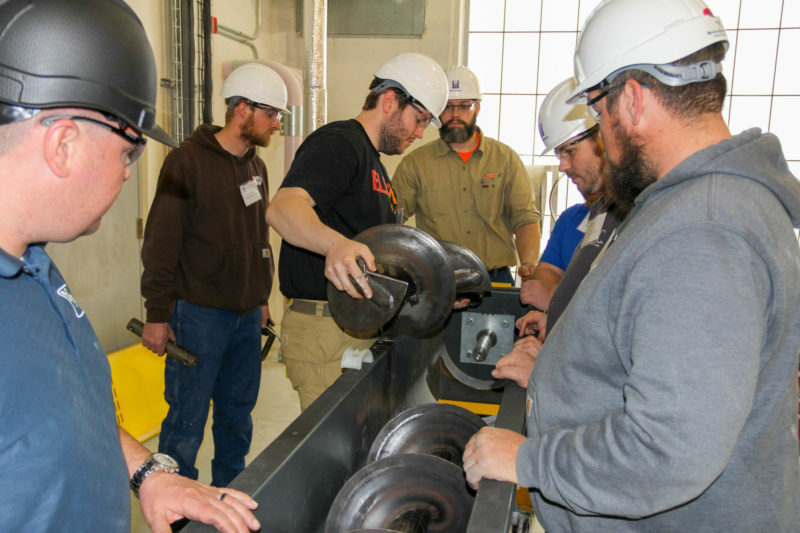 Attendees were able to explore in-depth, hands-on practices using the machinery in the Hal Ross Flour Mill. Prior to the start of the course, all participants completed three one-hour-long modules to ensure safety, lubrication and implementation of maintenance program practices. 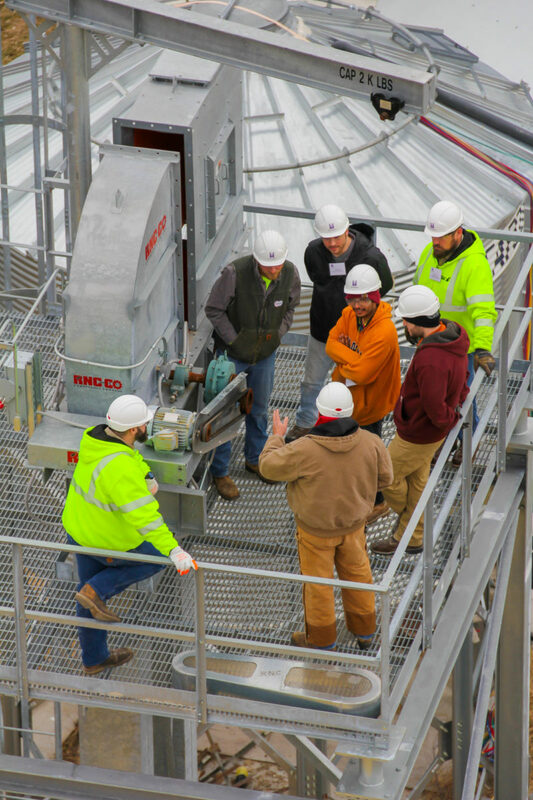 “The training had participants working in small groups to repair common grain conveying and material handling equipment,” says Melissa Ferguson, GEAPS continuing education programs leader. “The program provides incredible value to industry professionals looking to enhance their skills and further their careers. The IGP Institute offers several other training courses in the flour milling and grain processing area. Additional trainings are also offered in grain marketing and risk management, and feed manufacturing and grain quality management. To learn more IGP Institute courses, visit the website at www.ksu.edu/igp. The next offering of the HOT program is tentatively scheduled for December 2019. To learn more and to join the wait list for the offering, visit hot.geaps.com. The Grain Elevator and Processing Society (GEAPS) is an international professional association that supports its members and the industry by serving as The Knowledge Resource for the world of grain handling and processing industry operations. GEAPS addresses the industry’s critical grain handling, storage and processing operations needs by providing the finest networking, professional development programs, and access to a global marketplace of equipment, services and technology solutions providers. GEAPS’ global network of industry professionals includes more than 2,800 individual members from about 1,150 companies.